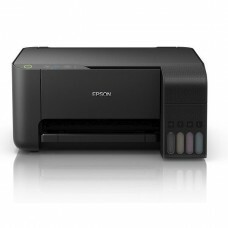 Color inkjet printer + copier + scanner. Built to bring down costs, bring up productivity. Printing method: Epson Micro Piezo, 180/59 nozzles (black/colour), up to 3pl droplet size (dye ink) with variable-sized droplet technology. Consumables: black ink 103 (up to 4500 pages) and C, M, Y inks 103 (up to 7500 pages). Starter set: 4 x 65ml ink bottles (B, C, M, Y), up to 4500 pages black and 7500 pages color. Prints up to 4500 pages (ca 5% A4). 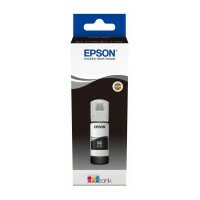 Black ink.High quality genuine Epson cartridge.Related EPSON dev..
Prints up to 7500 pages (ca 5% A4). 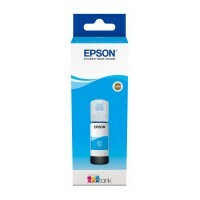 Cyan ink.High quality genuine Epson cartridge.Related EPSON devi..
Prints up to 7500 pages (ca 5% A4). 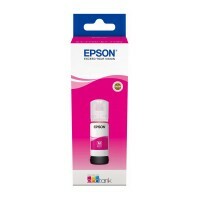 Magenta ink.High quality genuine Epson cartridge.Related EPSON d..
Prints up to 7500 pages (ca 5% A4). 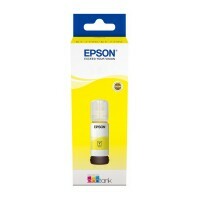 Yellow ink.High quality genuine Epson cartridge.Related EPSON de..